My friend Charles is someone who knows a great deal about fine food. He would tell me about the wonderful things he’s eaten in Melbourne during his university days, and how I should come over for a visit. The trip never happened, because my wallet never got fat enough to fund the vacation. 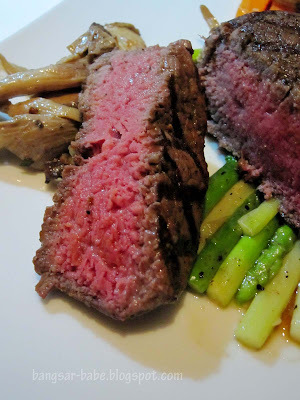 I did however get to try Wagyu, at a dinner party. The host brought 15 juicy pieces of Wagyu, with a marble score of 9, back from Australia. One bite and I was a changed person. rif too — more than myself. 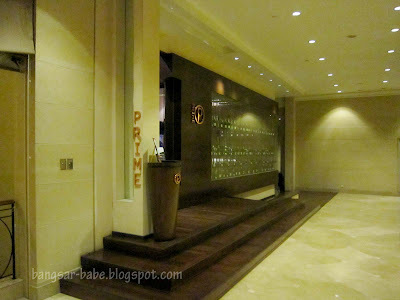 A luscious 220gm waygu steak at Prime amounts to my monthly hair treatment PLUS a haircut for rif. But he decided we should try Prime, and with the Starwood Card, we got a 50% discount on food items. And to us, that is a super good deal. The breads were delicious. One was packed with walnuts, while the other had a softer texture and a lovely cheese crust. 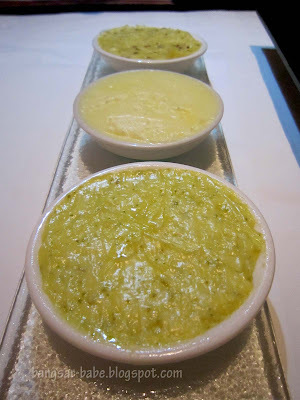 The trio of Échiré butter (basil, salted and mustard) had a most amazing texture. Échiré butter is the most expensive butter in the world – no wonder it tasted divine. 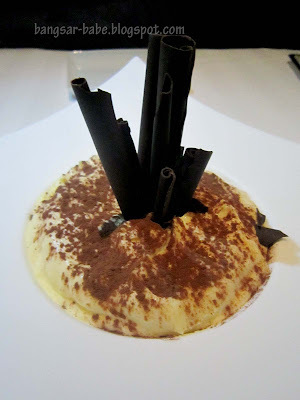 Foie gras experience (RM75) comprised goose liver done 3 ways; charcoal-grilled, crème brûlée and terrine. 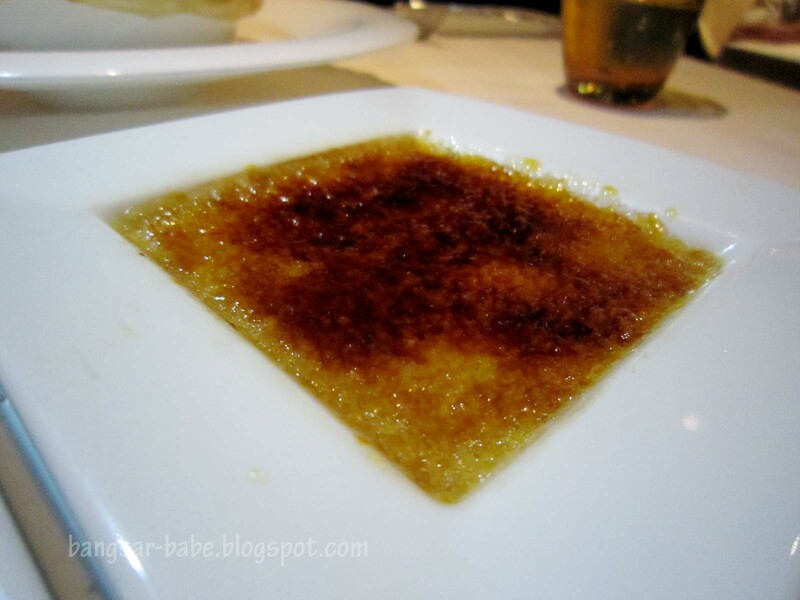 The crème brûlée boasted a glazed sugary top and rich, velvety centre. 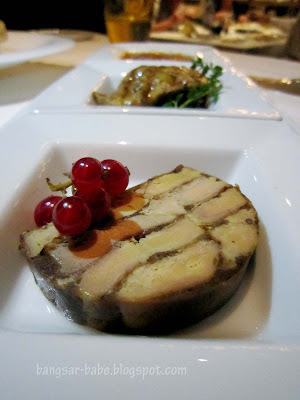 Terrine foie gras had a delicious smoky flavour and a hint of sweetness. 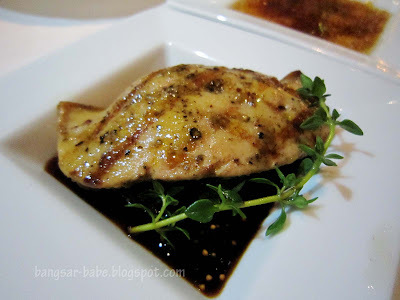 My favourite of the three, charcoal-grilled foie gras, was oh-my- gawd-so-good-can-die. Sorry, I couldn’t find words that would best describe that wonderful feeling. 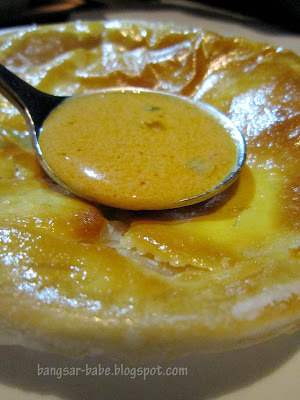 rif had the lobster bisque (RM45), which was rightly thick and rich, with a puff pastry top. This was also delicious, but I already in lala-land with my foie gras. I usually go for Ribeye when I order steaks, as I find this cut more richly marbled than other cuts, making the steak incredibly flavourful and tender. I made a mistake when I order the Imperial Wagyu Tenderloin (RM340), with cheesy potato cake, shallots and truffle. 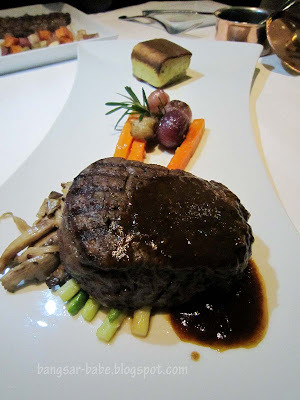 While this was beautifully done, tenderloin in general, lacks fat, so it was lean and less flavourful compared to rif’s Imperial Wagyu cube roll. I should have known better. 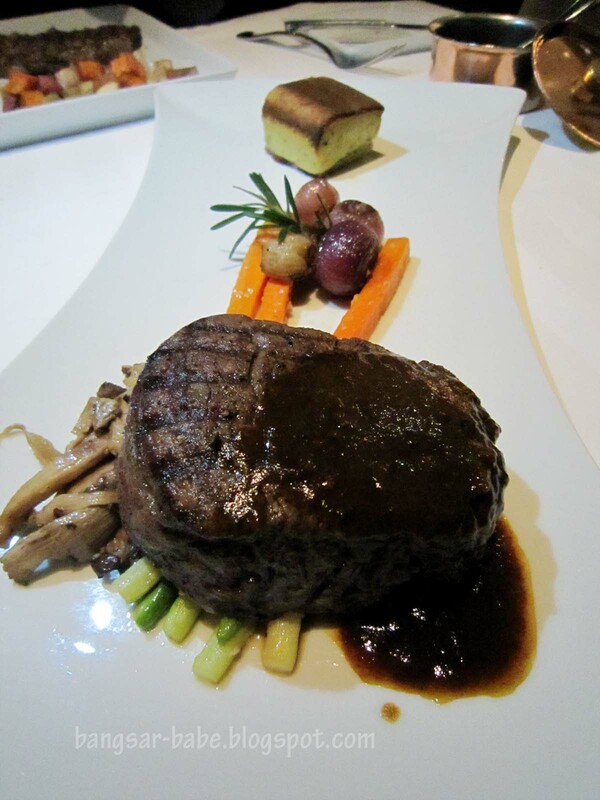 This wagyu tenderloin was said to have a marble score of 5, but I didn’t quite taste it. To be fair, the tenderloin gives diners a “guilt free indulgence,” but I was looking for “fatty, melt-in-the-mouth pleasure.” I thoroughly enjoyed the truffle sauce, which added an extra richness to the meat. 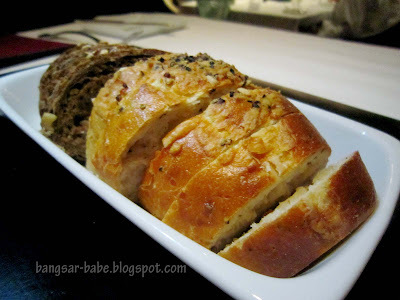 The smart boy opted for the 8oz Imperial Wagyu cube roll (RM280), served with bone marrow and roasted root vegetables. Each bite had a melt-in-mouth texture and a buttery taste, followed by a hearty, meaty finish. 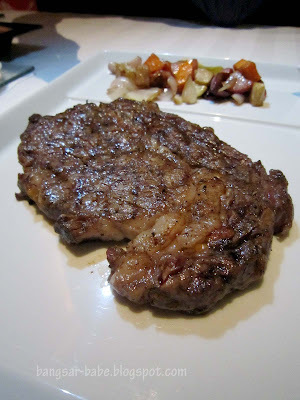 The marbling was beautiful, and no sauces were needed – it was so good on its own! rif found the bone marrow a tad rich, but I enjoyed it. 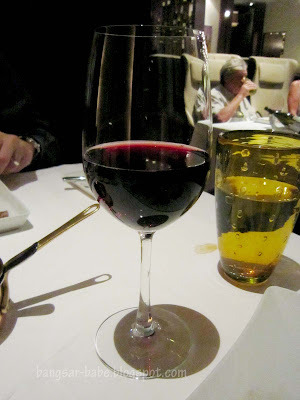 Our red wine was a treat from the restaurant manager (thank you!) 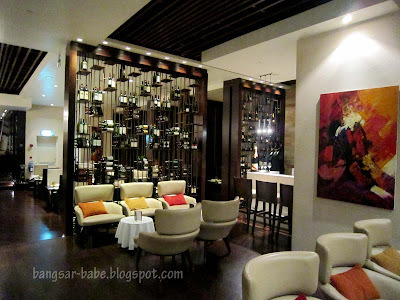 – Banfi Col di Sasso Cabernet Sangiovese (RM45 per glass, RM170 per bottle). It was smooth, deeply flavoured and had a long finish. Very nice with the meat we had. My 220gm of steak was difficult to finish. I reckon it’s the foie gras; I recommend sharing this starter. 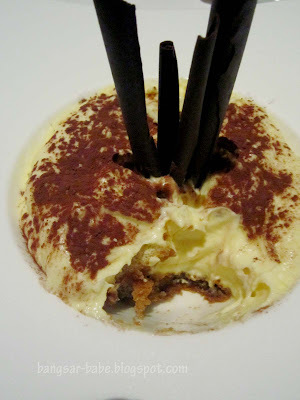 We waited for another 30 minutes before ordering dessert – Illy Coffee Tiramisu (RM 30). Sambucca liquor is added by request. Verdict: Tres tres magnifique! 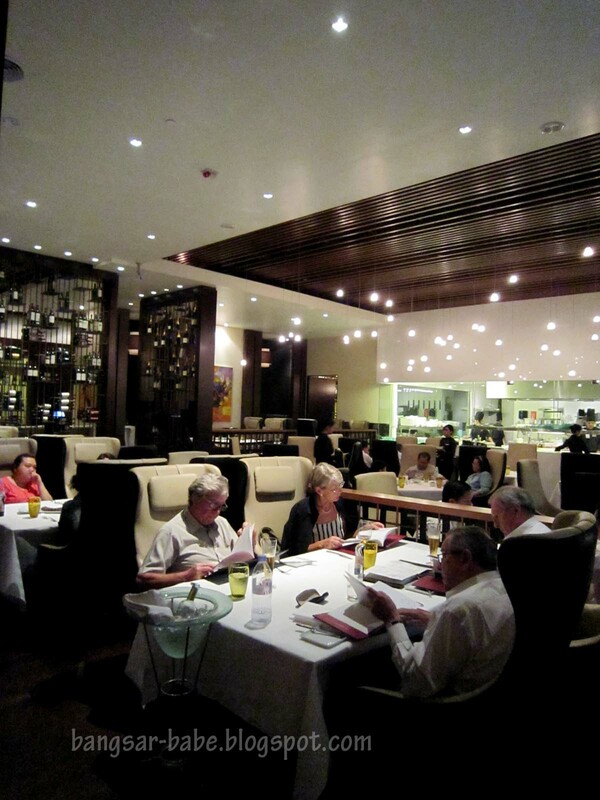 Don’t be overambitious like me – share the starters. 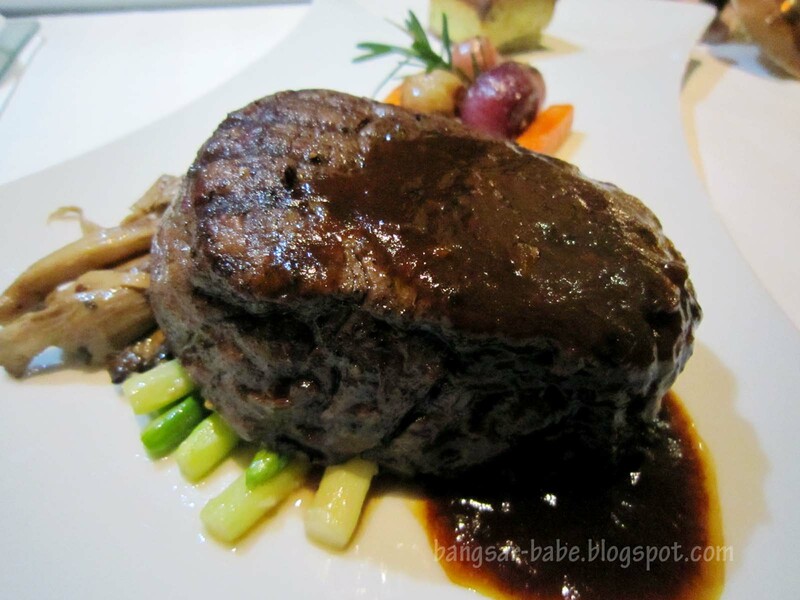 *The Imperial Waygu Beef USDA promotion ends 30th November 2010.
yeah the tenderloin is generally very lean, you are definitely a rib eye eater! 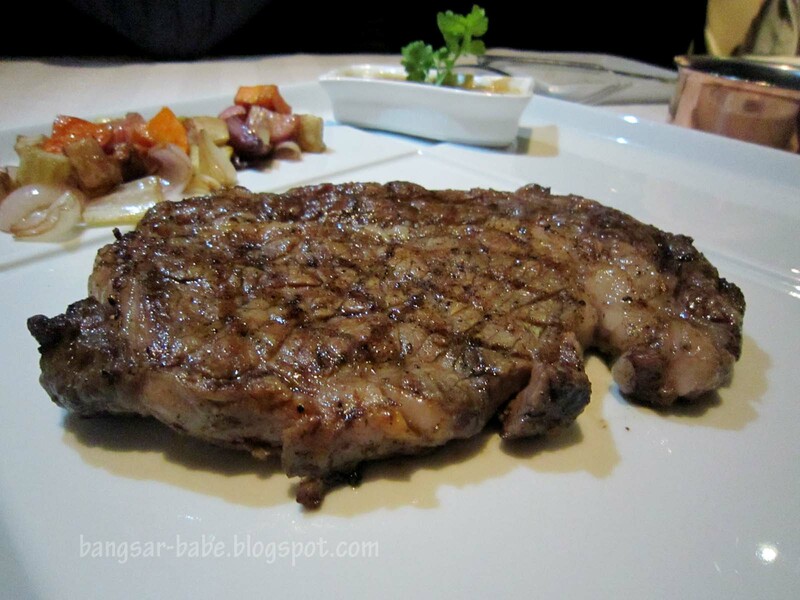 find the rib eye on the bone cut..its even better! aaawwww…. congrats on the proposal part, so happy for you ^_^ next time, i need to try wagyu beef too, your description makes me nuts. however, am not a big fan of foie gras though. LL – Hehehe….thank you dahling!! Joe – Ooooo…thanks for the tip!